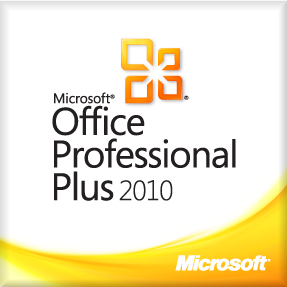 Office Professional Plus 2010 key is the genuine license for Office Professional Plus 2010 product. The product will be registered online in the offical site and receive offical updates & service support. It activates your copy of software or system installed either online or from a genuine DVD, saving both your time and budget. Your activation key will be sent directly to the email address associated with your purchase within few hours after payment is confirmed. Deliveries are generally completed in 5 – 60 minutes, but may take longer depending on the time of purchase. Brand New: This product includes a brand new unused Microsoft Office Professional Plus 2010 Full Features legitimate genuine Retail Key that can be used to activate on the Microsoft Store in any region. Once activated, you will have permanent access to the software, and will be able to deactivate and reactivate on any computer unlimited times. If you’re familiar with Microsoft Office 2010 Professional Plus, you already know how seamlessly it integrates all the programs you use on a daily basis – at home and on the job. But if you’re looking for a new experience that continues to simply everything you do while also showcasing the latest Microsoft applications, features and functions, discover what Office 2016 or Office 365 can do. Word, Excel, PowerPoint & OneNote: Whether you go from Office 2010 to Office 365 or Office 2016, you’ll get the latest versions of these popular programs. Outlook: Some versions of Office 2016 and Office 365 include the Outlook email service. Fast and intuitive, it gives you everything you need to stay connected, share calendars and organize your day. Publisher: Select versions come equipped with Publisher – a pro-quality publishing tool that makes it easy to develop stunning brochures, newsletters, cards. You can even go paperless and share your messages via email. Rendered as HTML messages, they’ll give your e-communication a sophisticated, professional look. Available for PC only. Access: When you choose a version of Office 2016 or Office 365 that includes Access, you can use app and table templates, and create browser-based database applications, and explore and organize your data in a whole new way. Available for PC only. OneDrive Cloud Storage: Get 1TB of cloud storage and keep all of your go-to files in the cloud. With the ability to access and update your documents, videos, photo files and more from your compatible laptop, desktop computer, phone or tablet device, you can work or play virtually anywhere. If you choose to, you can even share your files with others and use them simultaneously – making it easy to get more done on your schedule. Included with Office 365 only. Skype Calling: Office 365 gives you 60 minutes of Skype calling to landlines and mobile phones every month. This way, you can have face-to-face conversations with family, friends, clients and colleagues even when you’re not in the same city. Included with Office 365 only. If you want to experience more than your current Office 2010 set-up, or have questions about Office 2016 or Office 365, give us a call or chat with a member of our team and we’ll answer your questions so you can make the right choice for all that you do.